This is a short story but somehow it seems like a novel, since Poe packed so much into just a few words. A plague is devastating the country and half the population is dead. So how does Prince Prospero respond? He gathers 1,000 of his friends and secludes them in his abbey, which he believes will protect them all from the Red Death. His friends willingly go there, accepting Prospero as their guardian. But Prospero has no intention of waiting fearfully for the Red Death to run its course. Instead, he throws a masquerade ball, ignoring the death and destruction beyond his walls. A party atmosphere rules the abbey. The reason for the party, apparently, is to celebrate their continued existence, while those outside are dead. By exalting in life, they might survive the devastation, so goes Prospero’s thinking. For now, they have triumphed over the Red Death. The revelers seem to have no existence outside of Prospero. He leads and they follow. Prospero controls all aspects of the party. It is his will that prevails. The abbey contains 7 rooms, all of a different color. The furthest room is black with scarlet drapes and inside it is an ebony clock that sounds loudly on each hour, causing the dancers to momentarily stop, as they are reminded of a power greater than Prospero, the one they have chosen to follow. Amid the revelry, a ghastly figure appears. Someone has dressed himself up in a costume to resemble the Red Death! The corpse-like figure is daubed in blood and burial attire. But Prospero isn’t amused. The point of secluding himself and his friends in the abbey is to separate themselves from the Red Death, and this unknown partier is suggesting that Prospero has failed, and the separation is a fantasy. The masked man is mocking the proceedings, not to mention mocking the Prince and his attempt to avoid the plague, and he orders his revelers to seize him and then hang him to death in the morning. But no one touches him, because the role of the revelers is to follow, and the job of seizing the stranger belongs to Prospero, the leader. They refuse Prospero’s offer to switch their roles. Prospero and his crowd have strength in numbers. But the solitary masked figure has strength through his singleness and his isolation and alienation from the crowd. The stranger passes within a yard of Prospero, violating his “personal space” in a threatening way. In a moment of cowardice, Prospero doesn’t touch him, behaving for a moment like one of the crowd--one of the followers rather than the leader. But he recovers and, with his dagger drawn, pursues the stranger through all the rooms of the abbey until they both arrive in the furthest room--black with red drapes and the ebony clock. But as Prospero attempts to stab the masked figure, it turns to him, and Prospero falls dead. Now the crowd attacks the masked figure, no longer fearful of him, despite the death of Prospero. Their leader is dead and they are no longer tied to him as followers. They are free to take action according to the will of the group. They seize the figure but discover no body with which they could hang in vengeance for the murder of Prospero. They are in the presence of a fatal disease, not a flesh-and-blood human like themselves. Prospero had been fooled, and so had they. One by one, they drop and die, just like Prospero. Their fate was tied to his when they accepted his invitation to enter the abbey. The final death is marked when the clock stops ticking. Perhaps if they hadn’t blindly followed Prospero, some of them might have survived. It was Prospero’s masquerade ball that allowed the Red Death to enter with what they thought was a disguise. But the Red Death was “hiding” his true nature in open sight. Prospero’s attempt to run away to his enclosed abbey had failed. And his 1,000 friends had failed by blindly following him. 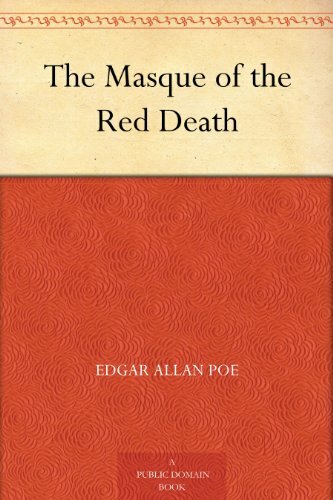 The Masque of the Red Death ranks 12th in the book The Greatest 19th Century American Short Stories.